Regular brushing, flossing and rinsing are all great ways to ensure that you continue to have a healthy and great looking smile, but there’s only so much that a dentist can see when doing a routine dental examination on you. 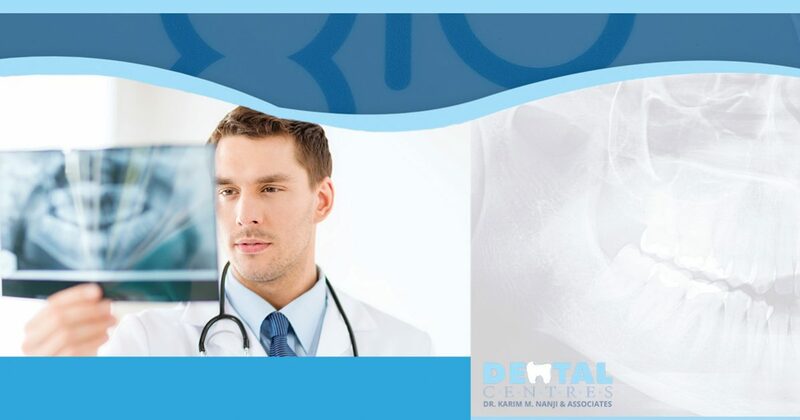 To get a better and more in-depth look at your oral health, digital radiography (or X-ray) services are necessary to ensure that your oral health is optimum. At the Dental Centre, we offer you X-rays at a variety of our locations in the greater Toronto area. While some forms of dental X-rays are more common than others, there are actually two types of dental x-rays : intraoral X-rays and extraoral X-rays. Both are effective forms of digital radiography, though they are each able to show your dentist different things. Intraoral X-rays are what many people tend to think of when they think of dental X-rays. They provide your dentist the most detail and can help your dentist find things like cavities while also being able to see the progress of growing teeth, as well as being able to see the overall health of your teeth. Extraoral X-rays show your teeth, but they focus on the jaw and skull more than your teeth. While Intraoral X-rays can help your dentist detect cavities, tooth decay and other issues, extraoral X-rays are typically used to look for things like impacted teeth and other issues that may occur between your teeth, jaws or other facial bones. Both of them serve a unique purpose and allow your dentist to provide you with the quality dental care you deserve. At The Dental Centre, we are proud to offer dental X-rays at many of our locations, including North Port (Port Perry), Sunderland and Stouffville. If you have any questions regarding dental X-rays at any of our Dental Centre locations, contact us using the form below!